Bollywood actress-turned-author Twinkle Khanna and her mother, veteran actress Dimple Kapadia recently posed for a jewellery ad campaign. 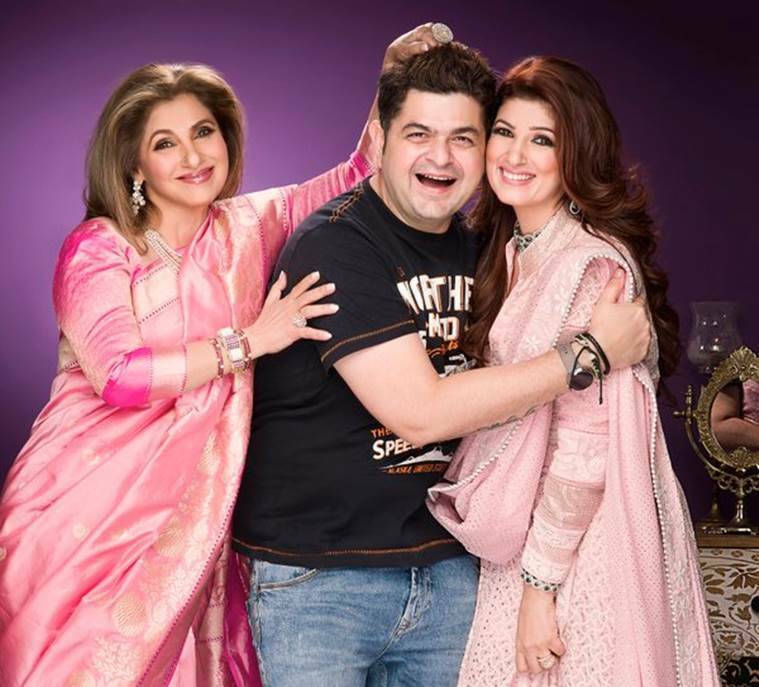 Bollywood actress-turned-author Twinkle Khanna and her mother, veteran actress Dimple Kapadia recently posed for a jewellery ad campaign and looked absolutely gorgeous in the pictures taken by ace celebrity photographer Dabboo Ratnani. Dressed in pink-orange Kanjeevaram silk saris, the mother-daughter duo speak of style and class. Dabboo Ratnani took to Twitter to share the picture. Dabboo Ratnani also posted a behind-the-scenes image of theirs. It’s also said that superstar Akshay Kumar called Dabboo personally to appreciate the pictures he took of his wife Twinkle and mother-in-law Dimple.